I had such a hard time styling this sweater when I finished it. I managed to get it together and share it with you all, but I have been dying to give it another go. With a couple of new accessories, I finally got to give it another whirl. So, for this Sunday's poll I thought I'd share two alternative ways to rock this sweater. I would love to hear which one you like the best. 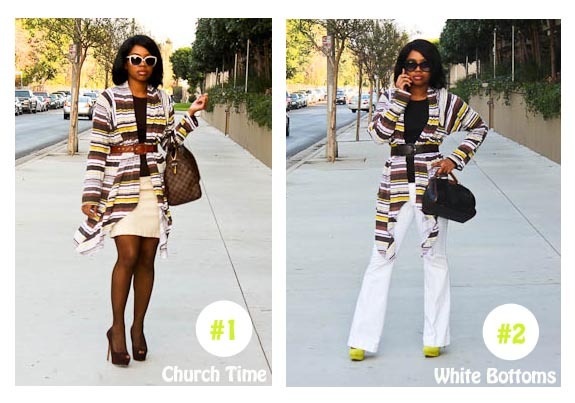 One look I wore to church and another I thought up as I was changing out of my church look. So what do you think? One of the new options or the original? Cast your vote below for the look you'd like to see more of if I could do it all over again. Or let me know if the original does it for you. Do explain your choice in the comments below. ;) I look forward to reading your thoughts! Options are everything! Which of the three do you prefer? 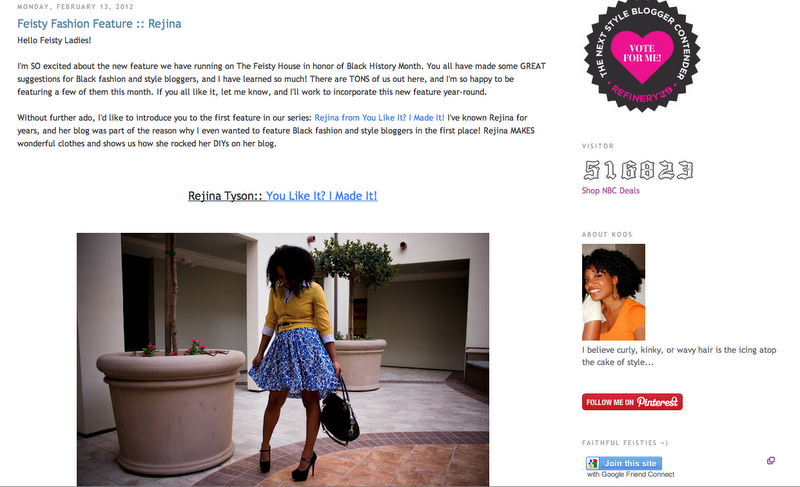 Recently I was featured on one of my fav blogs, The Feisty House. Check out the interview here. I am really excited to be featured here as a Black fashion and style blogger. The Feisty House is really awesome and I totally recommend that you check it out. You'll love her blog! I am making this dress that I was sure was going to have a cowl neck. However, in the process of trying to get it right, I happened upon what it might look like as a one shoulder dress instead. It actually was pretty cute. I simulated a cowl neck again and loved it equally the same as the one shoulder option. I don't know what to do. What do you think? One Shoulder or Cowl Neck? Do share your opinions about your preference in the comments section below. When the poll is over, I'll make the dress into the style with the most votes. Can't wait to see how it turns out! Based on the options above, which dress should I make? Help me decide. Vote below. For last week's poll, you all decided that a little contrast was the way to go. 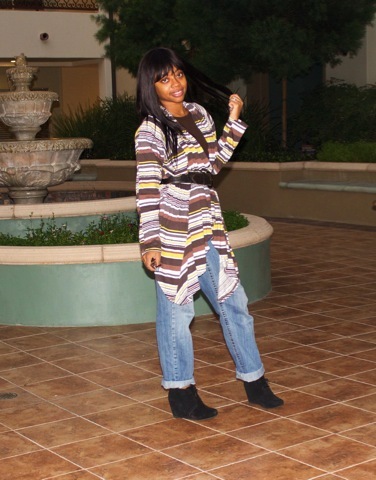 By a somewhat slim majority, you all voted that Gray & Feathers was the way to rock this reversible shirt dress. I still can't decide and will probably let the way I feel when I put it on decide which side wins for the day. It never hurts to have some variety, so I definitely can't complain. I got Global Style! 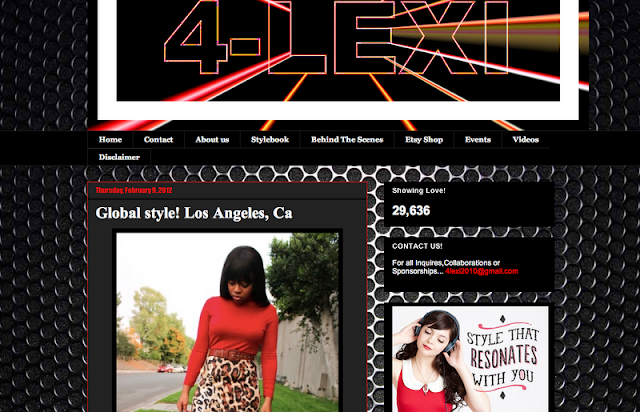 ;) Check out my latest feature on 4-Lexi here. 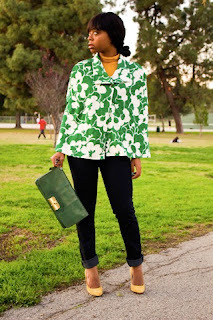 I'm super excited to be featured and hope you all check it out. ;0) LA represent! 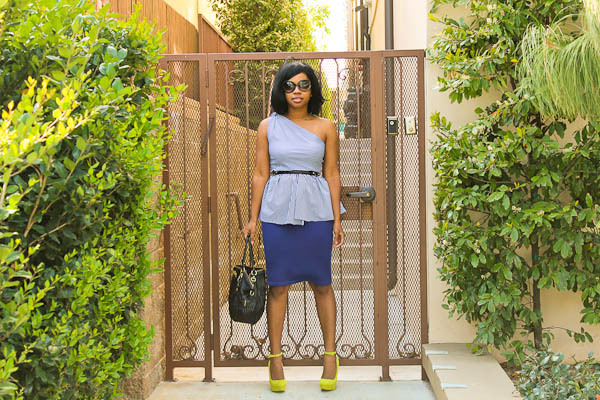 This dress is great because you can wear it 2 ways. But as great as having options can be, it's a little hard deciding which to rock as the front. Ohh it's so tough since both sides are pretty cute! Out of curiosity which side would you prefer to rock? 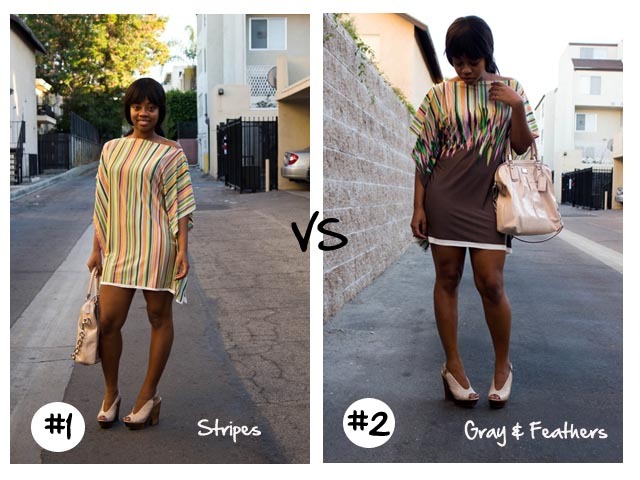 Make #5-Reversible Shirt Dress: Which side is cuter? Vote below.